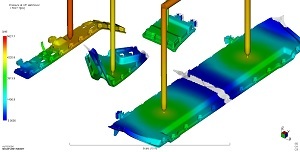 Molding Simulation Services - Beaumont Technologies, Inc. 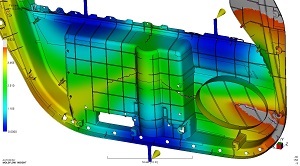 Contact Us to begin your molding simulation analysis today! Part filling analysis can help to determine the optimal fill time, pressure and clamp requirements, and predict any potential filling issues, such as: short shots, hesitation, sink marks, air traps, and weld lines. 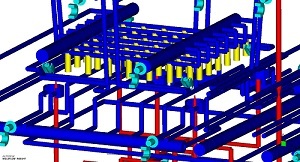 We can help determine the number and best possible gate location(s) to produce optimum parts. Proper gate placement is crucial for balanced filling of the part, minimizing potential molding defects, and reducing the potential for warp. This service evaluates and optimizes your part’s cooling channel design to minimize temperature variations and provide efficient cooling. This is essential for optimal part quality, lowering cycle times, and eliminating a source for warp. A warp analysis will analyze the part and mold design, material, and processing conditions, to predict the direction and approximate magnitude the part will shrink and warp. The results can be broken down into the thermal, orientation, and volumetric effects so that the analyst can focus on the main cause(s) and recommend solutions to reduce the potential for deflection. We can help optimize the size of runners and gates to minimize material volume without exceeding pressure requirements, while also ensuring adequate packing ability for the part. This analysis output identifies air trap and weld line locations, as well as possible related defects. 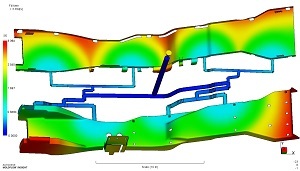 If these problems cannot be eliminated, our analysis can aid in strategically locating the weld lines and air traps so they can then be corrected using mold design strategies. Family molds are improved by using simulation to find the ideal process settings and runners sizes to provide the best possible configuration for balanced filling of all cavities. We can determine and evaluate the optimal injection time range, melt/mold temperatures, packing settings, and other variables – and their effects on part quality and warpage. 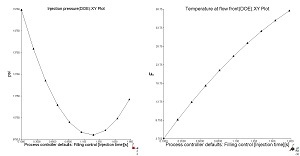 This data can also provide a suitable starting point during initial mold sampling. 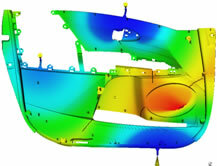 Contact us to begin your Molding Simulation project today.